Nothing like it before. Nothing like it since. 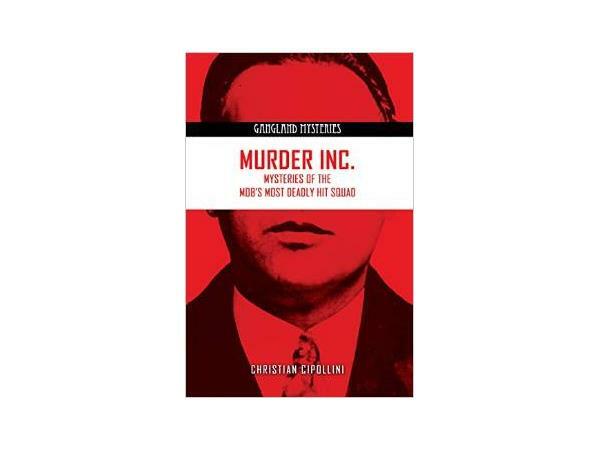 Murder Inc. was the most unusual, brutal and extensive collection of characters the American underworld had ever produced. Culled primarily from Brooklyn's Brownsville and Ocean Hill sections, these official on-call killers of New York's larger crime Syndicate were a unified force of Jewish and Italian gangsters that treated murder as an art form for an entire decade. They were called mobsters, thugs, hoods and racketeers, but at the very core... they were assassins. When gangland kingpins, such as Louis "Lepke" Buchalter, Charles "Lucky" Luciano and Benjamin "Bugsy" Siegel, needed a contract fulfilled - the "Combination" boys would eagerly take to task the enforcement duties, which included methods ranging from gunfire to fire axes, incineration to icepicks.